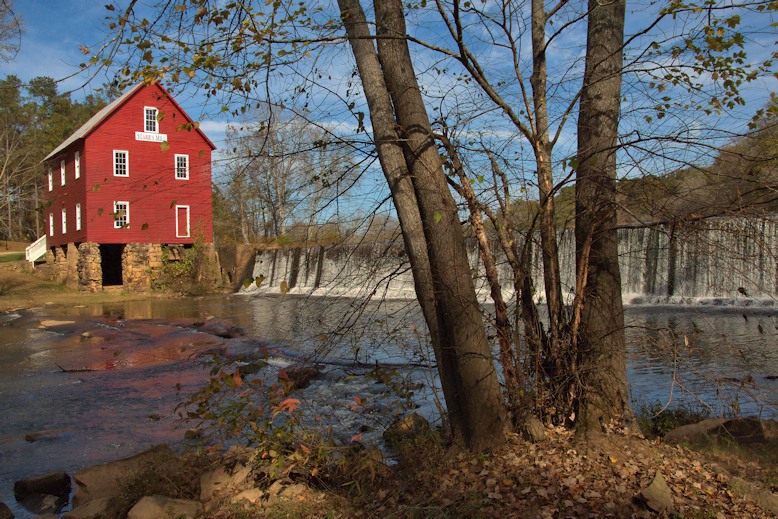 A grist mill was first established here in 1825 by Hananiah Gilcoat. Whitewater Creek was less than a mile from the Creek Nation and the area was a frontier at the time. The mill changed hands numerous times over the first few decades of its existence until it was purchased by Hilliard Starr in 1866. In the 13 years that Starr operated the mill, he made a lasting impression on the surrounding community, which would come to bear his name. The present mill, the third to be sited on the mill foundation at Whitewater Creek, was built by William T. Glower to replace its predecessor which was destroyed by a fire. 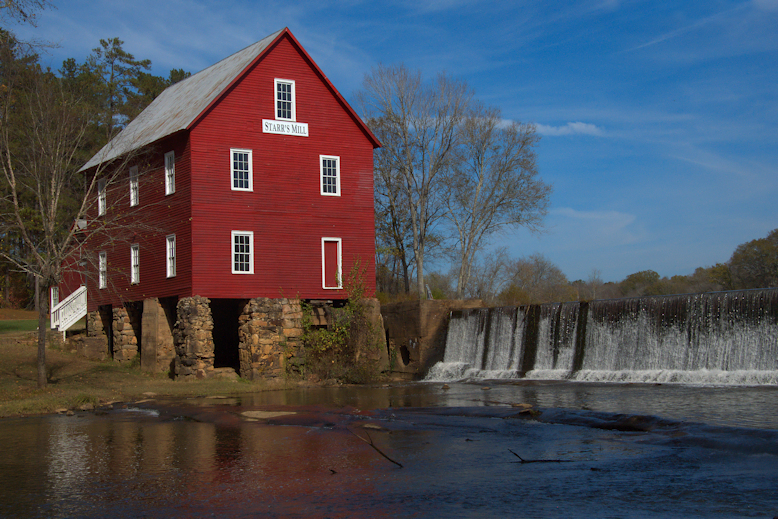 By this time, the mill was also powering a sawmill and a dynamo which powered nearby Senoia. The mill was operational until 1959.